What Is a Paleo Dentist? While every dentist will tell their patients to avoid sugar, Dr. Mark Burhenne goes farther than that. He recommends a nutrient-dense paleo diet as the first step in his patient's dental health, as a linchpin to their health bodywide. This is especially important for people with autoimmune disease because almost every diagnosis is correlated with an increase in dental health problems. While he does provide standard dental care in his clinical practice, he also teaches his patients about the oral microbiome and the importance of quality sleep. In fact, he's written a book focused on sleep apnea, because dentists are in a unique position to spot the signs if they know what to look for. 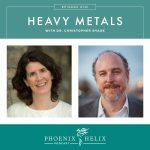 Today, I ask him questions on everything from the effectiveness of oil pulling, to whether it's possible to reverse cavities, to the wisdom of having mercury amalgams removed. It's an information-packed Q&A. In addition to main courses and side dishes, they also sell a wide variety of AIP sauces to maximize the flavor in your kitchen, including: Tzatziki, Salsa Verde, Lemon Dill Avocado, Creamy Bacon Alfredo, and Nomato Marinara. This podcast took 3rd place for the second year running, amidst some pretty steep competition. Thanks to all who voted! The Paleo AIP Instant Pot Cookbook took first place for best ebook! Listen to Episode 55 to learn more about it, or you can buy your own copy here. Dr. Mark Burhenne has been a dentist for 30 years and has a clinical dental practice in Sunnyvale, CA. He also consults with people worldwide via Skype. He also writes an educational website: Ask the Dentist. He had a professor in dental school who taught about the development of facial structure and how that has changed from ancestral to modern times, based largely on the change in our diets. So from the very beginning of his dental career, he approached his dental practice with ancestral nutrition in mind. Resource: Weston A. Price Research. He also got his first large cavity while in college and started experimenting with the best diet to prevent cavities. 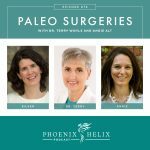 The paleo diet was the only one that made a difference for him personally, and then later, he saw it make the same difference for his patients. There are over 700 difference species of bacteria in the mouth, and they serve a function. Just as you can have gut dysbiosis (where pathogenic bacteria are dominant), the same can happen to the oral microbiome. And just as gut health affects health bodywide, the same is true for the oral microbiome, affecting immune function, vagal nerve function, gut health, inflammation levels, and even personality. Also, due to its location, its much more vulnerable to the external environment. It's impacted by everything from food to air to alcohol to temperature to the ingredients in our dental healthcare products. If you do a search of Pubmed, you'll find that almost every autoimmune diagnosis is also associated with an increase in oral health issues. Sjogren’s usually leads to an increase in cavities. Crohn’s and oral health problems often appear simultaneously. Lupus has a higher incidence of cavities, mouth ulcers and mouth fungal infections. People with psoriasis are more likely to have gum disease. Antibodies to oral bacteria has been found in the synovial fluid of rheumatoid arthritis patients. Etc. Research is showing that periodontal disease itself might have an autoimmune component. Dentists are in a unique position to see problems before they are discovered elsewhere, because the mouth is a window to the rest of the body. Sometimes problems in the mouth set off problems elsewhere; other times, they reflect a systemic problem. 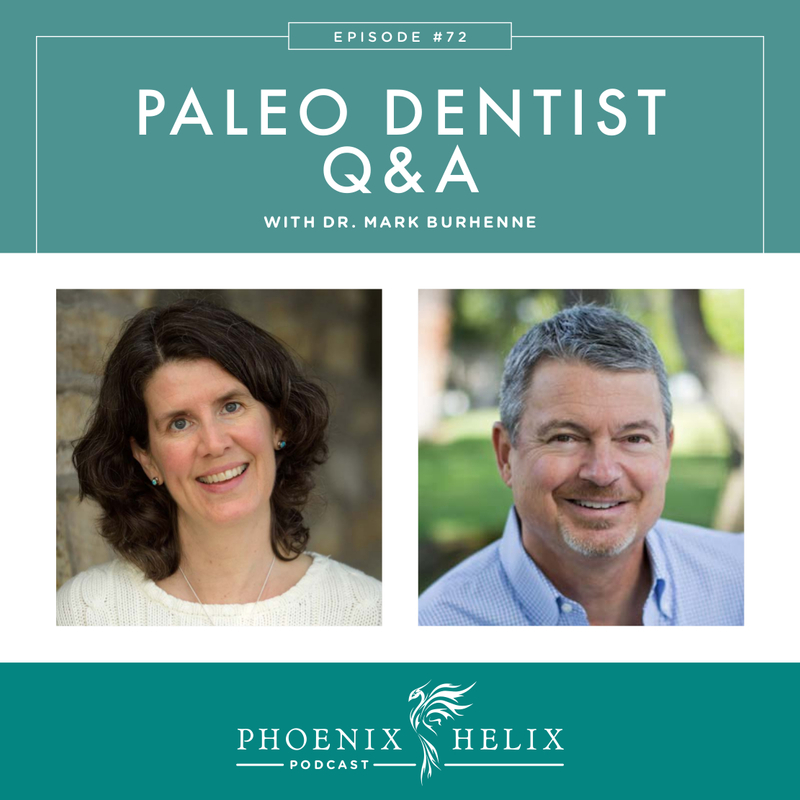 Dr. B routinely recommends a nutrient-dense paleo diet as the first course of treatment for his patients – both as prevention, but especially if someone is experiencing dental health problems. It was the paleo diet that stopped Dr. B's own cavity problem, and he's seen it do the same for his patients. In dental school, they taught him that cavities are normal and everyone gets them. It turns out that's true if you eat a modern diet, but it doesn't have to be true. Dr. B sees cavities as a systemic infection and a sign that the patient is both nutrient-deficient and at risk for other health problems. Diet is the biggest influence on cavities – greater than brushing or flossing. However, this isn't true if you consume a lot of paleo treats. Sugar in any form is harmful to the teeth. It cripples the remineralization process of the teeth. It feeds the wrong bacteria (supporting the ones that cause cavities), and tips the balance of the oral microbiome in an unhealthy direction. 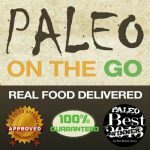 Resource: How and Why to Do a Paleo AIP Sugar Detox. In dental school, they teach that cavities cannot be reversed, but Dr. B has seen otherwise in his practice. However, it does depend on the size of the cavity. If it's contained in the enamel (the outer layer of the tooth), reversal is possible. If it progresses through to the dentin, it's harder to reverse but sometimes still possible. Once the cavity is large and deep, reversal is unlikely. Quick intervention and proper nutrition does support the body's natural healing process, especially when the diet is high in Vitamins K2, A and D3. You can also apply things externally to the tooth to promote remineralization, like cacao (which Dr. B includes in his home-made toothpaste recipe) or prescription-strength fluoride. But this process should be watched closely, because if the tooth doesn't remineralize, the cavity will need to be filled to prevent a deeper infection. Resources: Remineralization 101, Sunshine Medicine, and The Ultimate K2 Resource. When it comes to natural brands or homemade toothpaste, avoid essential oils is possible. They also have antibacterial action that can interfere with a healthy oral microbiome. If you want to test the health of your current toothpaste, wash your hands with it for 3 or 4 days and see what it does to your skin. Include ingredients that nourish the microbiome and promote remineralization of teeth. You can look at Dr. B's recipe for homemade toothpaste for examples of beneficial ingredients. If you want to buy toothpaste, his favorite brands are Jason's and Dr. Bronner's. They aren't as good as homemade, but they are far healthier than conventional brands. Fluoride has been added to drinking water nationwide, in the belief that it prevents cavities and promotes good dental health. However, many people feel that fluoride is actually harmful. Dr. B believes that the research isn't clear – both sides have studies supporting their case. His approach is cautious on adding it to our drinking water and supportive of specific therapeutic applications. When he had children, he chose to filter their drinking water to remove fluoride and avoid the potential risks (a very rare position for a dentist to take.) When it comes to fluoride in commercial toothpaste, he believes it offers no benefit because it's too diluted to be effective. However, he does believe prescription-strength fluoride toothpaste applied topically can be very effective at remineralizing teeth, and he has used it with his patients and also uses it himself when needed. Oil pulling does have benefits, but it's not a miracle cure. It's mildly detoxifying, it nourishes a healthy microbiome and can improve bad breath. Dr. B's concern is that if people have serious dental problems and they try to cure them solely through oil pulling, the problems are likely to get worse. This technique isn't a replacement for seeing the dentist. Dr. B also believes that oil pulling isn't necessary if you follow a strict paleo diet. But if you do consume natural sugars or have reintroduced things like white rice or are eating lots of nuts and seeds, the extra oral hygiene can be beneficial. Eileen (your podcast host) polled her Facebook community and the results with oil pulling varied widely. Some reported benefits were teeth whitening, breath freshening, eliminating dry mouth, lessening of teeth sensitivity, a reduction in plaque, and reversal of mild gum disease (keyword mild). For most people, they saw benefits when combining oil pulling with increased nutrient density and other changes to their dental routine: homemade toothpastes, water piks, and improved brushing technique. However, many people noticed no improvements at all, even when combined with other measures. Resources: Oil Pulling Tutorial and 8 Things Everyone Should Know About Oil Pulling. While the American Dental Association declares both root canals and mercury amalgams safe, alternative health practitioners sometimes recommend their complete removal, believing they can be an obstacle to good health. The problem is that their removal doesn't guarantee a positive outcome and can actually result in a health setback (even when done correctly). This is especially true for people with autoimmune disease, whose immune response is already overactive. The concern with mercury amalgams is the mercury exposure. The concern with root canals is there might still be bacteria present which can reach the bloodstream and potentially impact health bodywide. Dr. B recommends tapping on root canal teeth and if they are sensitive to pressure, that indicates a possible problem. 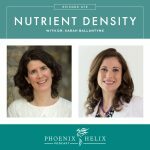 Prevention is the best course of action, through the diet and hygiene techniques already discussed in this podcast. Then, if you get a cavity and are unsuccessful at remineralizing, choose a different filling option other than mercury amalgam. Gold is the best option; plastic composites are now BPA-free and Dr. B recommends them. If you already have mercury fillings, be cautious about replacing them all at once. If a filling cracks or develops problems, that's a good time to have it removed and replaced, and be sure that it's done safely. When it comes to root canals, there are no perfect alternatives. Implants are vulnerable to infections as well. Here's a good article exploring the options. Dr. B has a therapy dog in his office that makes a huge difference in relieving patient anxiety. Dr. Mark Burhenne is accepting patients in his clinical practice in Sunnyvale, CA. He also consults with people worldwide via Skype. Her writes an active educational website: Ask the Dentist. And his book is available through Amazon: The 8-hour Sleep Paradox.